Boiler repair and much more - no callout charge! Need a boiler repair or one of our other services? Contact us on social media, call on 07807 062042 or use the form below to let us know what you need and we'll get back to you today! Carreg Gas covers a large area of South Wales from Carmarthen in the West to Monmouth in the east, and as far north as Brecon. 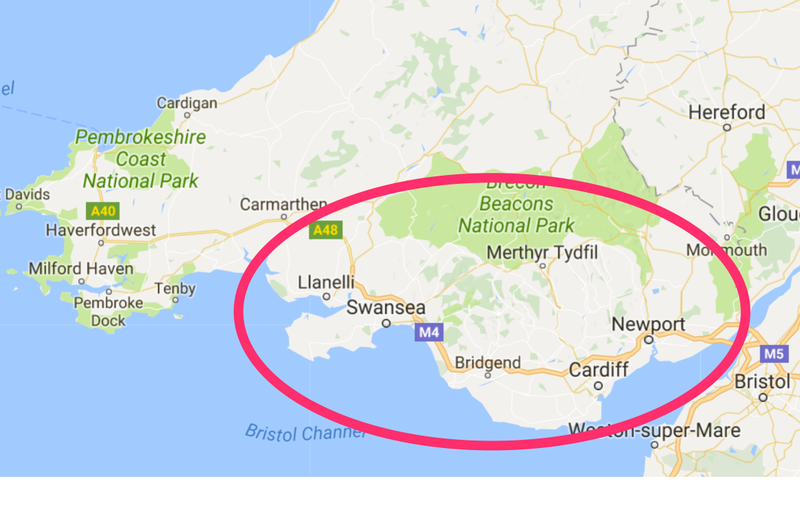 We cover the major conurbations of Cardiff, Newport and Swansea of course, as well as the major towns of Bridgend, Port Talbot, Neath, Llanelli, Merthyr, Aberdare, Ebbw Vale and all points in between. Whether you need a boiler repair, your central heating system flushed or a new woodburning stove installed we've got you covered. We have many repeat customers who turn to us whenever they have a problem relating to boilers, central heating and plumbing. This doesn't happen overnight and we have worked hard to gain an excellent reputation. 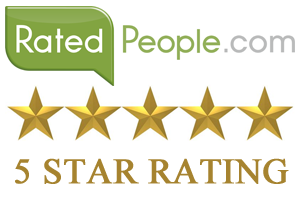 We are proud to have earned a prestigious 100% rating on 'Rated People' since we joined. Just look at our Reviews Page to see what some of our lovely customers say. Unlike many of the competition that will have you waiting in all day we always try to keep our appointed time of arrival. If we are held up on another job we will let you know. Keeping our customers informed and dealing with them in a friendly, courteous manner is one of our core principles. We have proved to be consistently cheaper than all our main competitors. For example, depending on the nature of the job *we can beat British Gas by as much as 50%*. As a small business we don't have the huge overheads of many of our competitors such as paying dividends to shareholders and so on, and those costs can be passed on as savings to our customers. We don't waste time in carrying out work. If we say that a job will be completed at a specific time then it usually is. Furthermore, we always keep our customers updated on progress. If an unexpected hitch crops up, you'll be told what it is, what it means, and what can be done to put things right. When any tradesman is dealing with gas appliances you need to be assured that he or she is fully qualified to do so. At Carreg Gas our qualifications have been verified by the industry regulator the Gas Safe Register. This organisation checks on its members quality of work and ensures standards are maintained on a regular basis.